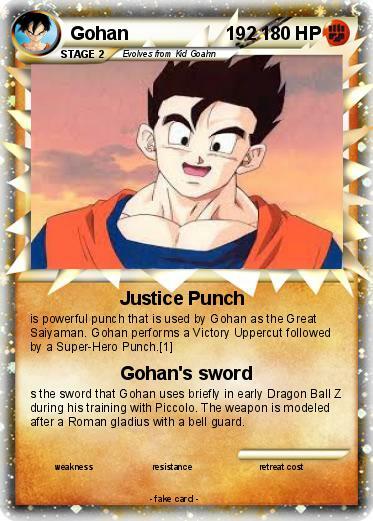 is powerful punch that is used by Gohan as the Great Saiyaman. Gohan performs a Victory Uppercut followed by a Super-Hero Punch. s the sword that Gohan uses briefly in early Dragon Ball Z during his training with Piccolo. The weapon is modeled after a Roman gladius with a bell guard.